Say 'Hello' to my trusty sidekick- Ocean Salt. 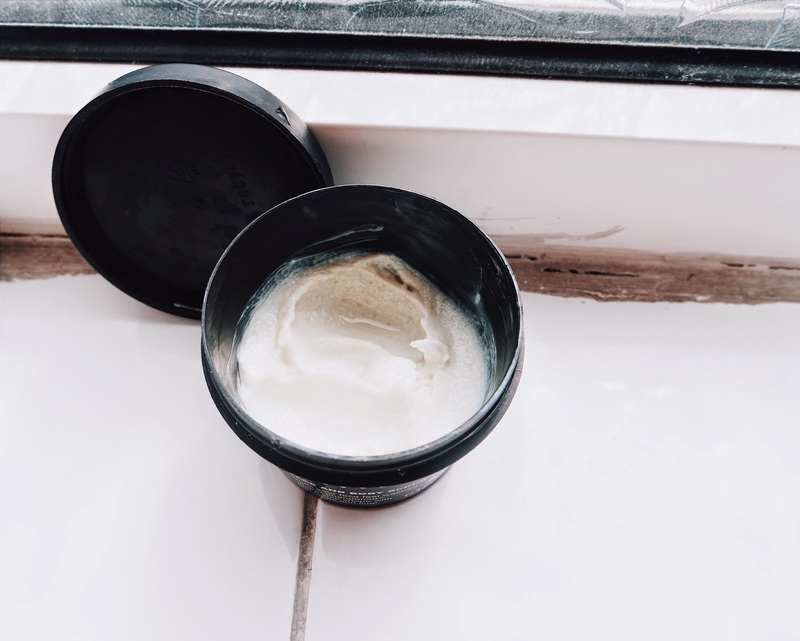 This little pot of sea salt, lime and avocado heaven has rescued my face. It is rich in minerals and is perfect for scrubbing away any dead skin. Now, I'm not usually one for scrubs, but I absolutely love this. I use this scrub just 1-2 times a week and have seen such a clear improvement: a lot less spots and redness. I apply it to a damp face whilst in the shower and scrub my T-zone, around my nose and my chin, the main areas where I tend to get oily. My skin loves the stuff and I always feel like I get the deepest clean possible. 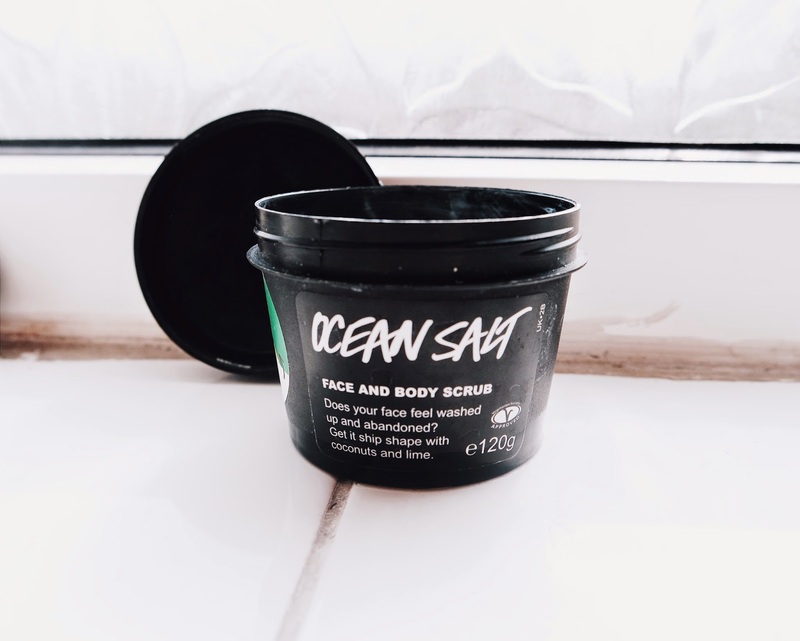 The fine sea salt removes any dirt and leaves my skin feeling plump and polished. The scrub is surprisingly soft and not at all harsh. I think this is because of the avocado used, which also gives it a great, refreshing scent. Once I feel as though I have thoroughly given my face a good scrub, I simply just wash it away with water. Using this in the mornings is the perfect wake-me-up. I do however, only use the scrub once or twice a week as I don't want to dry out or be too rough on my skin. You can also use this to scrub your body to remove any dry skin but, I haven't found it to be quite as good at doing that. I think a harsher scrub would be best used on the arms and legs, whilst a softer scrub like this one is best used on the face. Lush Cosmetics have definitely pulled this one out the bag for me. It has become one of my essentials and I have already repurchased this twice and will soon have emptied this one. Give it a try and let me know what you think! Thanks for the review. I’m going to pick one of these up because I have sensitive skin too but to hear that your sensitive skin loved this stuff is encouraging! Thanks for sharing! Great Review! Never really been into Lush products but your post has made me want to explore the brand so much more. I've heard a lot of good things about many of their products and this product is definitely one I want to try out now. Thank you so much! I'm glad that you're thinking about giving some of their products a try because they can be really good! The only reason I have never tried them is because I personally feel their main focus is bath products and I'm definitely prefer a shower over a bath. I thought because of this their non-bath related products would lack in quality but I've been proven wrong. Yeah i understand, i think they do have a large focus on their bath bombs and bubble bars, but they're scrubs and face masks can be used any time! I hope you can find something you like from there! Sounds like a really great product! I'll check if they also sell it in Austria! I started using this product about a week ago and I have pretty dry/sensitive skin so I find this to be a bit too harsh for my face. Weirldly enough, I think I like this the best for my underarms. It just leaves everything so... fresh. Haha.